Welcome back to our global microbe travels! Let’s continue our tour of microbes named after places. If you're doing any hiking or camping this summer, you should know a bit about Rocky Mountain Spotted Fever. RMSF is a virus you are not very likely to get if you adventure in the Rocky Mountains. It’s much more common in the Southeast and South Central US. The disease is transmitted by wood ticks and dog ticks common in these regions. This nasty virus got its misnomer because it was first identified in the Rockies. If you prefer leaving the US, then let’s pay a visit to Germany. Here you’ll find the old city of Marburg in central Germany. There is an African microbe with a German name because this is where the Marburg virus jumped from lab monkeys to people. 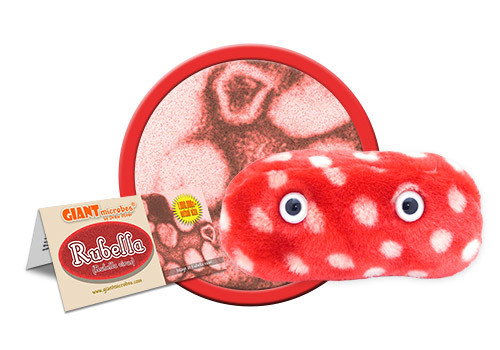 Germany is also the home of Rubella, which is not actually named after the virus itself. This virus was nicknamed German Measles because German professor Frederick Hoffmann first described it. Make your way to the buzzing city of Halle where Hoffmann taught medicine and natural philosophy. Exploring this city is a dream, and you need not worry about contracting Rubella since, thanks to Hoffmann’s work, we now have a vaccine. While in Europe take a flight to Spain. Spanish Flu has gone by so many different names depending on where you live. Americans started calling it Spanish Flu even though it first erupted in Kansas! 2018 will be a big year for Spanish Flu and a chance to celebrate the 100th anniversary of one of the worst pandemics in history. In 1918 this special little microbe spread around the world and killed upwards of 50 million people! Spanish Flu is another reminder of the power of microbes and how they dominate life on Earth. Happy and safe travels around our planet!